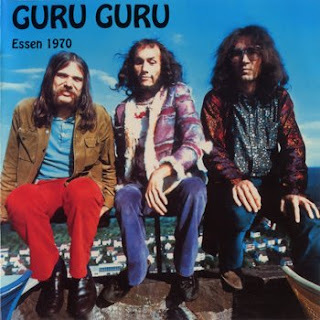 This is an awesome live recording by the best Guru Guru lineup - Ax Genrich on guitar, Mani Neumier on drums, and Uli Trepte on bass. On the short side, only about 38 minutes, that's the only thing wrong with this. The three tunes are from their first two albums, "UFO" and "Hinten". Garden of Delights release with huge booklet. Man these guys were great, highly recommended if you like Guru Guru. Maybe even if you don't! hi psychfan & anon - you're welcome! hi anon - sorry there will be no reuploads. Many thankx for this fantastic Guru Guru record.